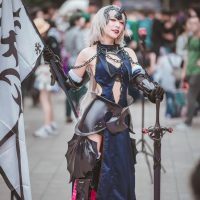 Imagine being Fate/Stay series fan, walking though a sea of sweaty people on the way to a comic convention, and you see this perfect cosplay grace your path. Then suddenly it’s as if you’ve died and reincarnated into the anime world where the character you only ever dream about is standing right before you and is as real as the fact that the unicorn is the national animal of Scotland. 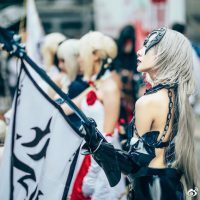 That is probably how most of the Fate/Stay fans felt when they saw this Jeanne D’Arc cosplay. 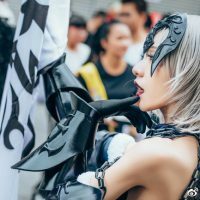 Chinese cosplayer under the pseudonym “Luo” has gotten plenty of attention from Fate/Stay netizens after seeing her photos on social media. Luo, aside from being a fan of cosplaying characters from idol genre anime is obviously also a fan of the Fate/Stay franchise. 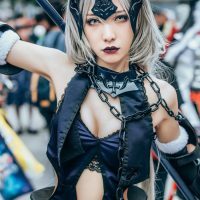 Luo has cosplayed other characters from Fate/Stay including Saber and Scáthach. 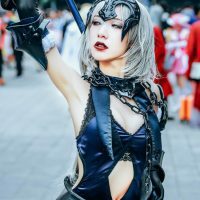 Her high quality costumes, perfect makeup, and most importantly, the confidence that’s evident in her photos are what make her stand out most of all.